Yesterday I posted an EarthBound preview by Total! magazine, an old European magazine. Today is the actual review! From a technical standpoint, I think this might actually be the best EarthBound review we’ve dug up so far. 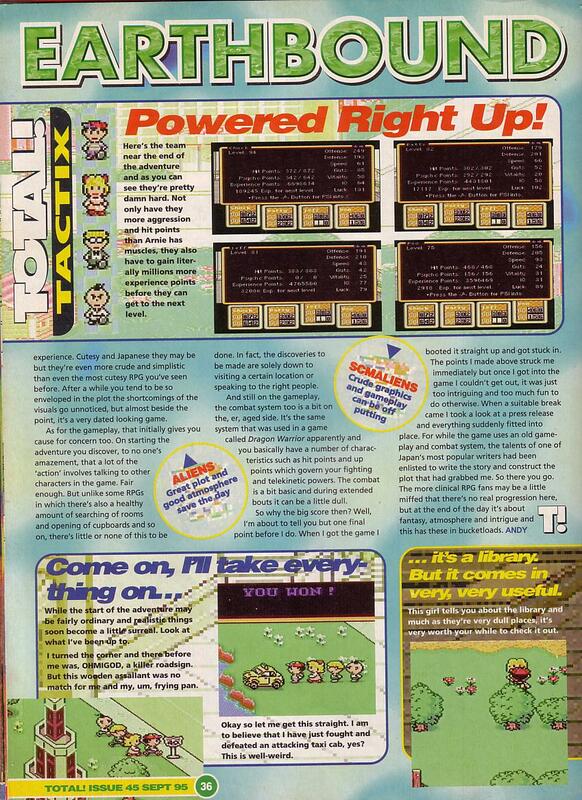 The review spans four pages, has pictures from many different parts of the game instead of just Onett, and the reviewer actually played all the way through the game! But more than that, the reviewer criticized what really deserves criticism (basic gameplay, simple graphics might be off-putting), didn’t go overboard and exaggerate things to one extreme or another, and gives due praise for what went on to keep the game alive and kicking 15 years later. 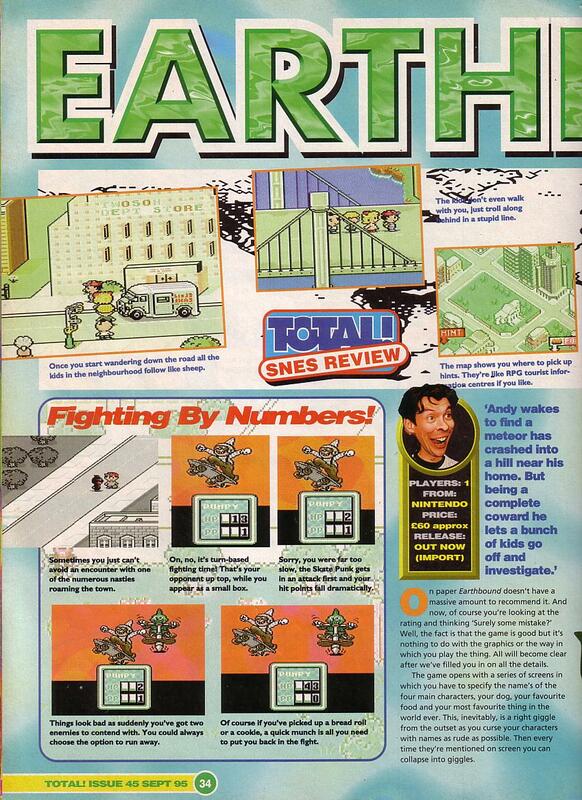 Compare that to the other reviews of EarthBound and you’ll see that this one is really good as far as reviews go. Thanks again to Niall Lynch for the scans! Waaah the graphics aren’t very good waaah. I like how straight forward they were about it. The graphics stink, but everything else is great. “…as you can see, they’re pretty damn hard.” Ha ha, indeed. I like the general atmosphere of the review. Like you said though it’s refreshing to realize that the main writer for this review has played through the game. Most of the captions were pretty banal though, yes :P.
I should totally make a Football RPG just to appeal to Rob. Anyway, it’s an okay review I guess, I really don’t like how the reviewers said the graphics were crude, considering that they were done on purpose and all. Still, 85 is a decent score, considering a lot of Magazines gave, oh, I don’t know, Renegade 3 a score of 95. I don’t think he was insulting the range and musical variety of the music in Earthbound by stating that the soundtrack was “okay”, however I think it was more of the same point he was making with the graphics. 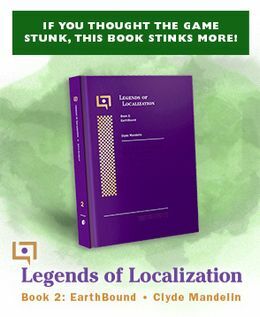 While the graphics and sound were okay, they were the same quality of sound and graphics being produced when the SNES was first released, and were inferior compared to other SNES games of the time. I didn’t notice it before, but it’s cool that the magazine is reviewing and recommending readers check the game out, even though they will have to import it to do so. geeze what was the exchange rate back then? I don’t care what anyone says, that was pretty funny. I don’t really understand the game graphics at that time. But I’m sure the simple pixelated graphics was intended. Yes, it’s rather crude but that’s where the classic vibe come from. At first I thought I didn’t get their jokes because they were European, but then I saw their faces. Then I realized they were just plain stupid. I mean, c’mon, Ness is actually quite good looking! Boy people knew nothing about graphics back then, didn’t they? They’re a part of what made me love this game back when I could barely read english. While I can’t complain with the final score they gave it, must EVERY non-fan written review of EarthBound (and even still lots of those complain) bicker on and on about the graphics not being very good? A 6/10, seriously. It might just be because I never really thought “graphics made games”, but even from a mid-90’s standpoint I think the graphics are pleasant for their time. A dozen years old? Last time I checked games from 1983 didn’t look this good. It’s amazing that when the reviewer actually plays through the whole game that they tend to give the game very favorable reviews. Those other ones were just so unprofessional. No review ever seems to mention the ever handy rolling HP counter. And just average music? While I may not want to put very many EB tracks on my Ipod, A lot of them do stick in my head. But graphics look a dozen years old?! Isn’t that kind of harsh? You can tell whats what(And that’s real important)and it doesn’t look bad compared t earlier SNES titles. Wah, that last post was done by me, just forgot to log in. A bit odd that he treats it like Itoi was “enlisted” by Nintendo to do the writing, almost as a ploy. Other than that though this review’s pretty solid, especially compared to “a Barney-esque romp through a McDonald’s playland”. A fairly nice assessment overall, good to see they did their homework. But to call the gameplay non-innovative, I think that’s a bit much. A counter slowly decreasing your HP bar was something completely original. In fact, added almost a source of panic when trying to survive a battle by a hair; a more powerful experience. They’re acting as though Itoi’s writing was it’s only saving grace, I agree it was something that made it so great, but not a single factor, it almost seems like they think he was only responsible for the plot and nothing more. All was hard work… The music was great, every HALKEN music I heard is great and the mgazine shows you the good overleveled lv of everyone when you will about to fight Gyigas. aloso, ROB is an idiot with that coment of the game, the other guys comment was ok… He wasnt insulting the game, just a bit of things of Earthbound that stink. To lv up a guy you just keep fighting lots of Fobbies… If you are a high lvled then keep going to 99… I have a file in my Earthbound with all lv 99, its not THAT hard. Maybe he seems happy… But in his journey he was happy, sad, angry, crying of happiness, crying of sadness… Hes journey was difficult… Reatards! There was a Oasis there but not a recharge Oasis. Stupid line?! Thats the easiest system to program them! It was hard work, Its strange cause they were trying to mix the real with surreal. The RPGs always will be strange… The most realistic RPG I have ever played is The Harvest Moon series. A 8.5 is ok. I liked how was the review… Also, they told you where to get the damn town map. A 8.5 is an good game… Maybe that helped for people to buy the game. I don’t feel like reading that much, but the final score was fair. I think it’s interesting that even back in the SNES era, they were encouraging people to import games. We’re so sorry there’s no football, Robby. This was a pretty fair review, though. It was actually a real review, not an embarrasing, “OMG THIS SUX, DERR!” review. Over time, I have found myself purposefully saving the “funny captions” for last, simply because I know they’re going to be stupid. The faces of those reviewers are horrifying. 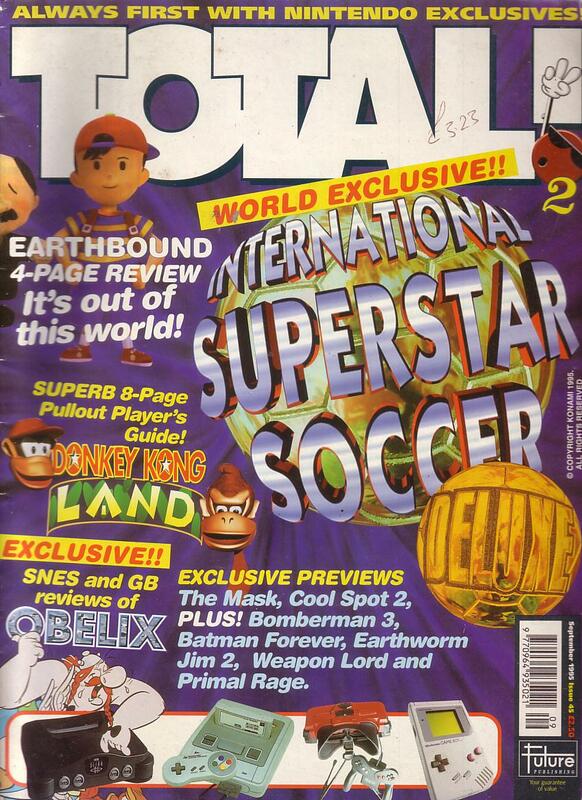 So wasn’t there an Nintendo Power review? Someone must have stacks of old Nintendo Powers. I know from watching Angry Video Game Nerd that James Rolfe has a ton of them, but I don’t know if he subscribed long enough. this isn’t a good review simply because they imply oasis is better than blur. thank you and goodnight. Well, its kind of interesting that the only fair review came from a country that never saw the game. And somewhat sad at the same time. That comment from the person who said he enjoyed the game even though he hated RPGs really stuck with me, since I’m sort of the same way – I hate RPG games besides the mother and pokemon series. I wonder if, since at the time RPGs weren’t a hugely popular genre as FFVII wasnt out, a statement like that would have gotten more sales? WTF is with their reviewers faces? Are they constipated or something? Love the game though. I don’t know if many of you were alive in the mid 90’s, but one thing that I find passes most people by who either won’t there or weren’t around is the 90’s was the time of the “bit wars”. It was all about the bits. Noone really knew what a “bit” was exactly, but the general consensus was that the more bits, the better the game. Ever wonder why Sega Genesis says 16-Bit right there on the top of the console? (16 bits was TWICE as many as the NES). Ever wonder why the Nintendo64 was named directly after its 64 bits? That was because that was the prevailing theme of the 90’s. In today’s world of constant high-graphics we know that better graphics don’t equal a better game (and to be fair, most RPG fans back then realized this as well). But when the number one question of the day was how far does this game push the graphics envelope, and how many bits does the system support, you really can’t blame the magazine reviewers for putting such a major focus on graphics in their reviews. 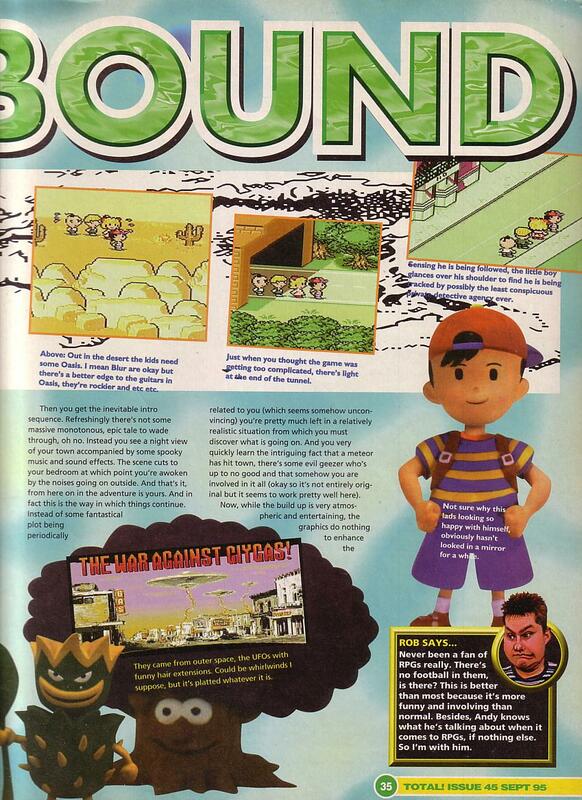 I agree that it was much better than the other EarthBound magazine reviews shown here. 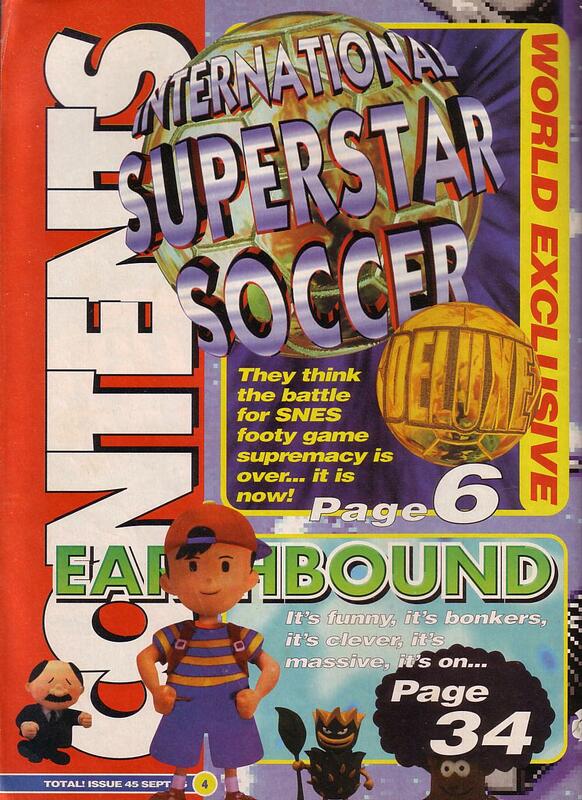 Not that the review is perfect, but EarthBound is a cult hit, not really the sort of game that magazines generally tend to be particularly crazy about, and weren’t RPGs in general a bit of a cult thing in English-speaking countries in those days? 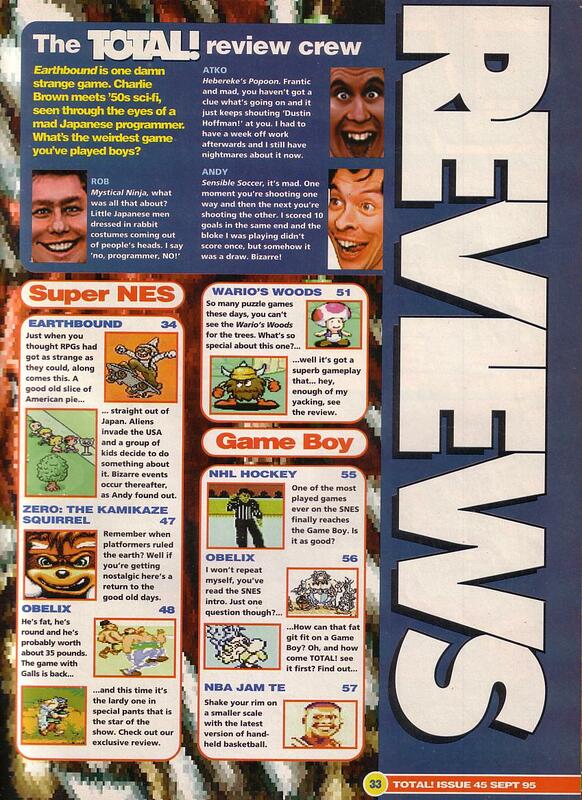 I actually have this cool little Nintendo Power magazine that has a collection of various reviews that they did, like Starfox, Battletoads, and so on. 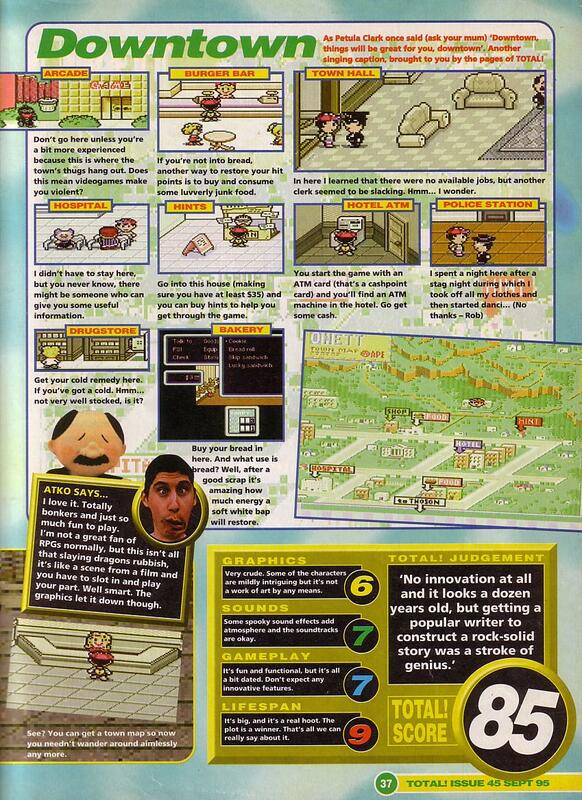 They actually showed the article they did on Earthbound a while back, and it was (surprisingly) this huge colorful full two-page ad for it, showing clay models, and of course, had the slogan “This game stinks,” right above Master Belch. Earthbound’s graphics weren’t bad they were very suiting for the type of game it was. Also why are graphics so important better graphics don’t make a better game. @Steve! : Sorry to tell you, but graphics do make a game better. If the gameplay is awesome, godd graphics will just make the whole game better, while bad graphics might even ruin the whole experience. Well, to be fair, Earthbound WAS released around the same time Chrono Trigger was, so reviewers probably got a worse impression of the graphics. Of course, retro seems to be hip again, judging from the graphics of most indie games. That being said, I can’t wait to see how reviewers score Cave Story Wii. This is a British mag. Why are they reviewing Earthbound? I would have known for sure if it was released over here. Because imports are the baermb. I imported EarthBound and now, I’m the baermb with my friends! And I like Blur better than Oasis myself. Um, since when is there a hint man in Onett? This made me laugh. I don’t care what anyone says. Well, atleast he played it. And thats what makes me more happier than all those other crap reviews. Remember “Giant Footstep”? Or is that just me?